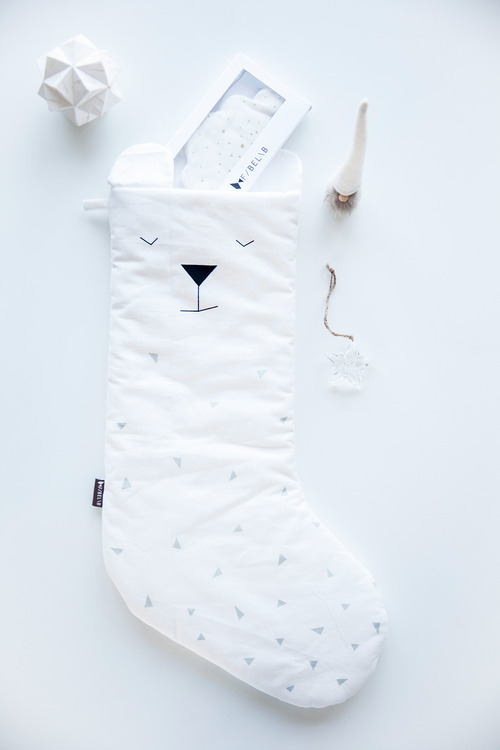 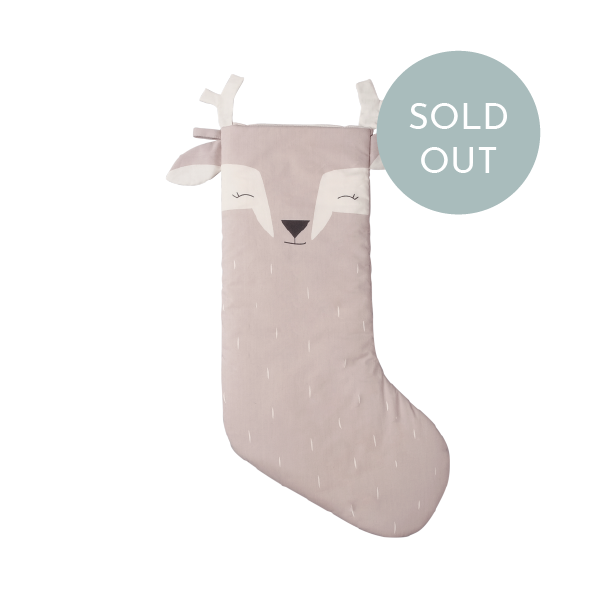 Christmas stocking shy fawn, Icey grey. 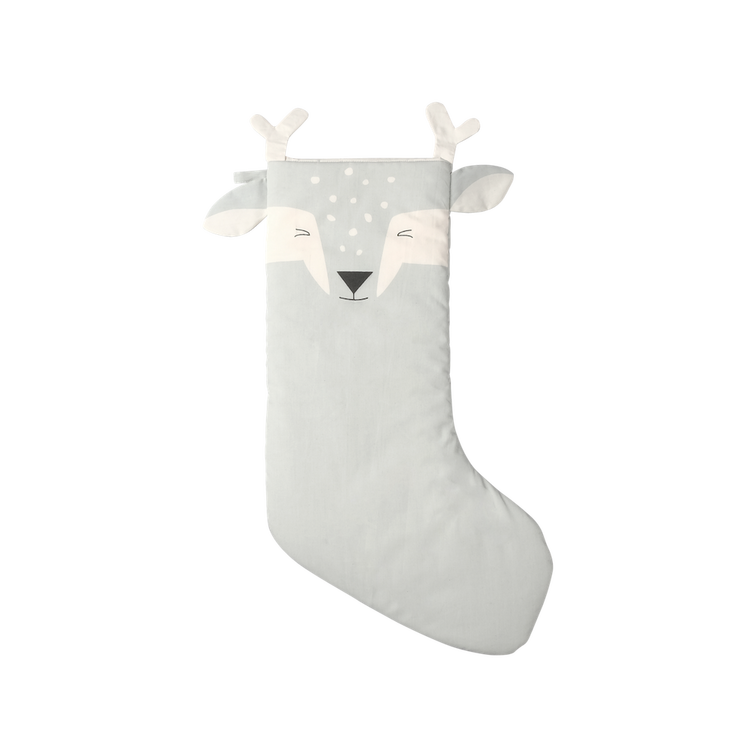 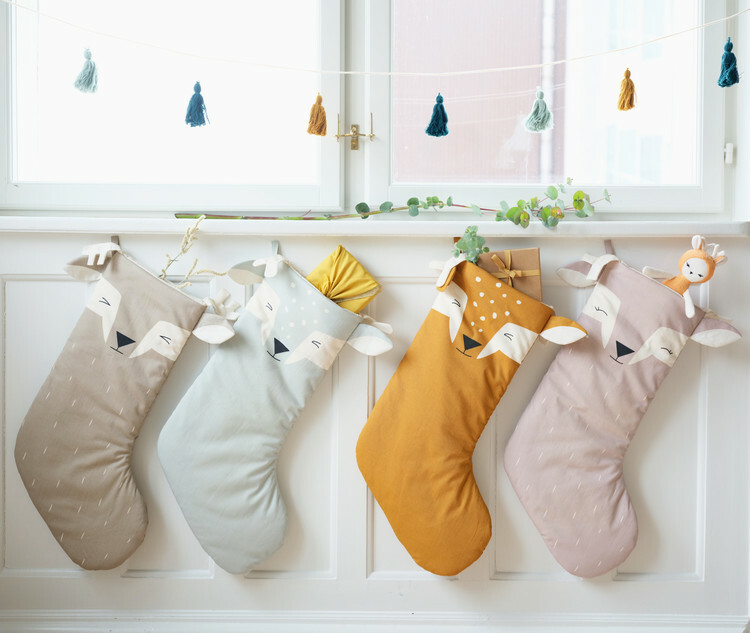 -NEW silly fawn in icy grey make the classic Christmas Stocking. 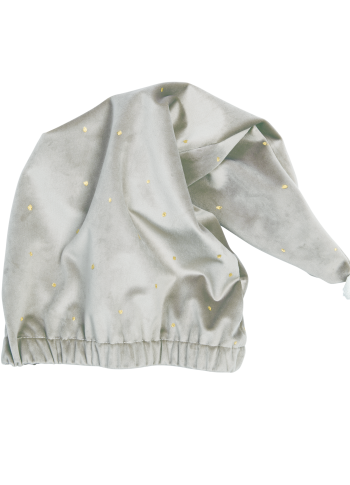 Shy fawn is NEW for this season and have little antlers is all ready for the Christmas holiday season! 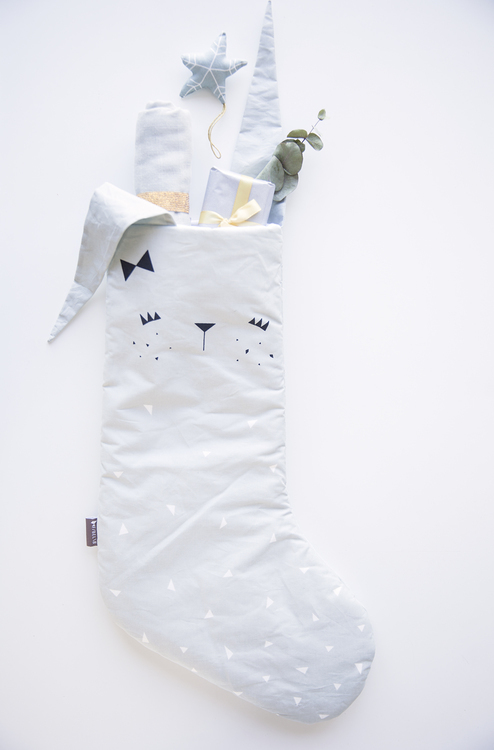 Simply hang it at the end of your bed or on your mantlepiece - and wait for Santa to arrive. 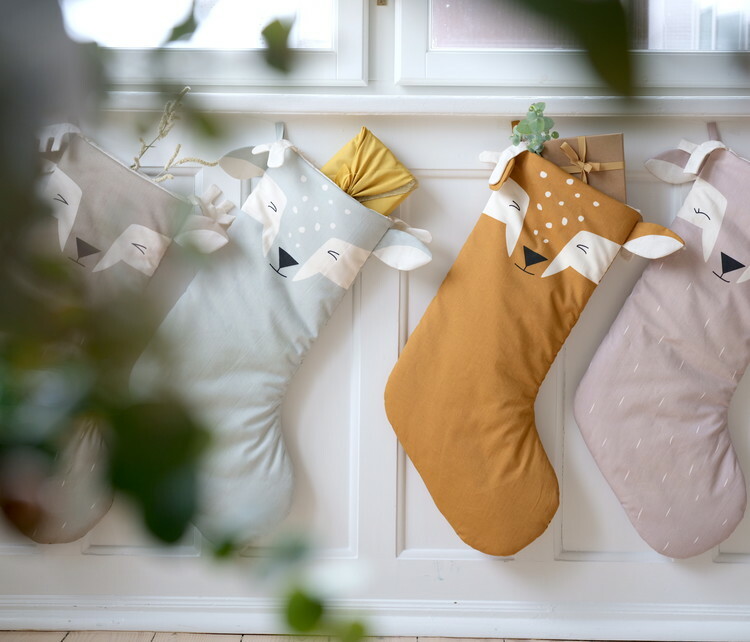 Choose a character for each family in the house and you will have these special stockings for many years ahead!